The Chamber Collaborative of Greater Portsmouth's Public Policy Committee invites you to a facilitated discussion with Eversource about the Seacoast Reliability Project - a new transmission line to help ensure that New Hampshire's Seacoast Region can continue to grow and thrive. We'll also be discussing the clean energy future, energy efficiency, and other energy topics. A cleaner energy future with affordable energy costs means a state and region that are attractive to business and industry, which will mean more jobs and stronger communities. Join us for this informative and interactive discussion. There will be plenty of time for Q & A. Join us at the Discover Portsmouth Center in the upstairs event space. The closest parking is across the street in the Bridge Street lot. Please enter the building through the main door on Middle Street. Discover Portsmouth, 10 Middle Street, Portsmouth (Across from Jumpin' Jay's Fish Cafe). The meeting will start at 8 a.m. with introductions and brief presentations, followed by an interactive discussion. 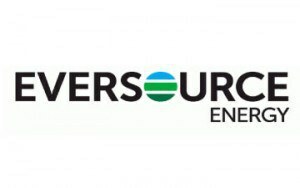 The Forum will end promptly at 9:30 a.m.
With appreciation to Eversource for their sponsorship.